A Simple BASH Script to Display the System Information ~ Your Own Linux..! This script runs commands like w, uname, uptime, free and df. 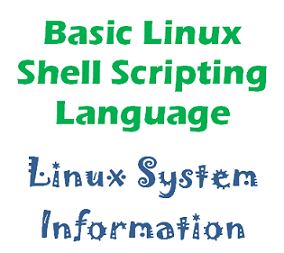 One can modify the script a bit accordingly in order to get the system information from multiple servers. That's it! If you can add something to above script, mention it in the comments so that I can update above script to make it more powerful.